Andres Roots Roundabout: New Single Out! 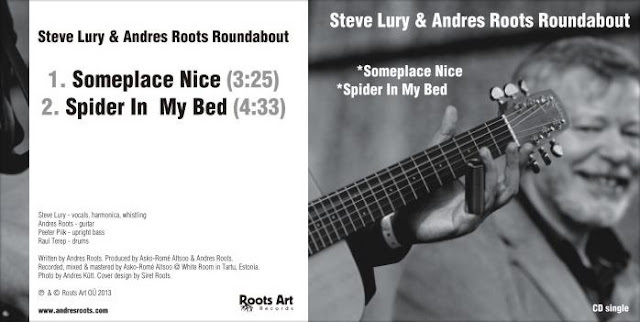 Roots Art Records is celebrating World Radio Day with the Steve Lury & Andres Roots Roundabout single released today! Title track "Someplace Nice" got its first airing last night in Germany on Nathan Nörgel's Crossroad Café via Radio 98eins. Design by Siret Roots, photo by Andres Kütt.